As we reach the end of the third marking period, Spring Break is just around the corner. March was a wonderful month, and I want to thank everyone for their hard work and support. In March, we hosted an awesome science fair and many other events. Our Read-a-Thon has started, and you should be recording minutes each day. We began March with our Spirit Night at McDonald’s. A big thank you to all of our families who participated! At the beginning of March, we hosted a preschool book drive to benefit MacDonald Knolls Early Childhood Center. We collected boxes and boxes of books for our littlest readers. Thank you for your generosity! We hosted our annual science fair on March 7 with more than 50 different projects conducted by individuals and teams. Students had the opportunity to present their projects to our SSL judges and earn a medal for their hard work. A big thank you to Christi, who has chaired our science fair for the past five years. We will miss you as you move on to Baker. Thank you also to our adult volunteers: Terry, Jen, Anna, Kristen, and Christine. Finally, thank you to our SSL judges: Katherine, Gracie, Lucas, Hadyn, Kade, Lexis, Bella, Jazmin, Alexander, Matthew, and David. We appreciate your hard work. We couldn’t have done it without you. March 1 was our deadline for box tops for this half of the school year. Because of your contributions, we will be receiving $315.70 for our box tops. Thank you to Nora for organizing our box top program, and for your effort in sending them. We are still collecting box tops for our submission November 1. A big thank you to all of our families who supported our fifth grade celebration committee by dining at Chipotle on March 19. Based on sales, Chipotle donated $708.91 to our fifth grade end of year events to make it a special time for our fifth graders! Thank you to Tamara for organizing this event. March was also the last month for our Reading Incentive calendars. Congratulations to all of our readers! Students who turned in three or more calendars will be invited to our ice cream party during recess on Wednesday, April 10. A permission slip will be coming home with students who qualified. Thank you to Kerry, Trish, Jill, Victoria, and Ashley for their work on our Reading Incentive Program all year! Wednesday, March 27 was our Read-a-Thon kick off assembly, and our minute recording will be from Friday, March 29 until Friday, April 12. If you are new to the Read-a-Thon, know that it is different than our Reading Incentive Program and Read Across America. Be sure to turn in your minute recording sheet each day for a chance to win special prizes and help our school reach our goals. A special thank you to Barnes and Noble for donating prizes to our Read-a-Thon and also to Ms. Amy and the Damascus Library for hosting our Read-a-Thon crafts. More information can be found in your packet that came home March 27 and on our website. Dashing Dragons has now started for the Spring. Runners will be meeting Wednesday mornings to train for our 5K on Saturday, May 11. Go Dragons! Thank you to Anna, Jen, Christine, and our guest runners for making this program possible. Just a reminder, information is now available to register for kindergarten next year on the school website at https://www.montgomeryschoolsmd.org/schools/damascuses/news/index.aspx?id=627428. Kindergarten Orientation will be held on Monday, May 20. That means May 20 will be a no school day for current kindergarteners so teachers can meet next year’s group. We will also be looking for adult helpers for that day. More information coming soon. March 29: First day to start recording your Read-a-Thon minutes! Thank you to Laurie, Jen, Diane, Caitlyn, Kristen, and Christine for your planning for this event. March 30 – April 5: Put Me in the Zoo craft at the Damascus Library. Visit the library information desk any time they are open to try our free craft. April 1: First day to collect Read-a-Thon permission forms and minute recording sheets. Keep reading! April 2: PTA meeting in the media center at 7 p.m. with a special presentation from our ESOL program. April 3: Spirit Night at Ledo’s Pizza in Damascus from 11 a.m. to 9 p.m. Be sure to mention Damascus ES PTA when you order. Thank you to Ashley for her work on this! Note that this is an Early Release Day. 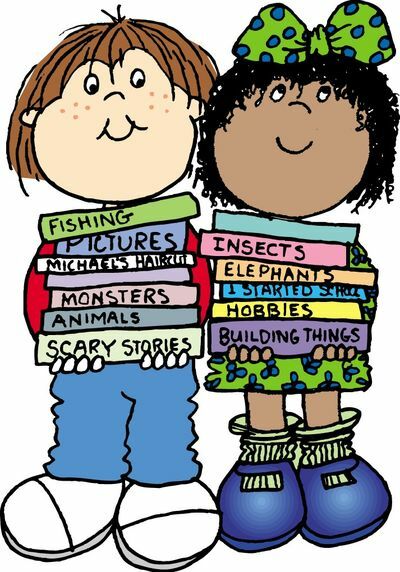 April 4: Passport to Reading Night, 6-8 p.m., in the All Purpose Room. Come explore the world through books. April 5: Last day to order yearbooks. Thank you to Beth and Kerry for their work on the yearbook! April 5: Parents Helping Teachers. Thank you to Dawn, Donna, Theresa, Wendy, Kristen, and Christine. We have accomplished an amazing amount preparing classroom materials for our teachers. April 5: Read-a-Thon Halfway Day – Keep reading! April 6-12: Mouse Paint craft at the Damascus Library. Visit the library information desk any time they are open to try our free craft. April 9: Dress as your Favorite Book Character Day! April 10: Reading Incentive Ice Cream Party for students who turned in three or more calendars. Be on the lookout for your invitation/permission slip. April 12: Last day to record your Read-a-Thon minutes. Keep reading! April 16: Cultural Arts Assembly. Thank you to Leanne for her work on this event. April 23-26: Turn in your final Read-a-Thon packet. May 10: Muffins with Mom, 8:45 a.m. in the All Purpose Room, more information to follow. Come enjoy light refreshments with your child before school. As always, thank you for all that you do to make our school amazing! Thank you for continuing to support our Spirit Nights at local Damascus restaurants. So far this year, we have raised more than $1,000! Looking forward, our next Spirit Night is at Ledo Pizza in Damascus on April 3 from 11 a.m. to 9 p.m. Be sure to mention you are with the DES PTA when ordering. Mark your calendars for another Spirit Night at Maggi’s on May 7. Thanks again for your support! The 5th Annual Read-A-Thon kicked off with a celebration on March 27 and ends on April 12. Last year our students read 154,278 minutes and raised $8,341! We have lots of fun prizes planned for the students and to reward our readers and fundraisers. Visit our Read-a-Thon page to learn more. If you have any questions or would like to be part of the fun, please contact Laurie Murtaugh at laurie.murtaugh@verizon.net. Don’t miss out – the 2018-2019 yearbook will be out of this world! Deadline to order is April 5 and the cost is only $20. Order online at ybpay.lifetouch.com using code 11510219. Or you can use the form sent home (additional copies available in school main office) and make checks payable to DES PTA. To celebrate our staff for the month of February, we handed out bags of hugs and kisses. We wanted to give everyone a little Valentine’s snack. For the month of March, we made pots of gold to honor all of our wonderful staff members. We figured they could use the ceramic pots later in their classrooms since spring is around the corner! We filled them with chocolate as a special treat. In April, we are planning something special that’s still in the works to be delivered sometime before Spring Break. We can’t wait to talk about it in the next newsletter! We also plan on delivering flowers to the secretaries for Secretary’s Day on April 24. 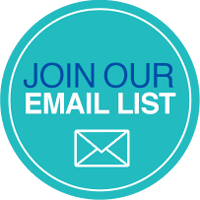 This year the DES-PTA has been focused on transitioning to a more digital presence and we want you to be part of that transition! SOCIAL: DES-PTA is on FACEBOOK! If you haven’t checked out our FB page yet, go to https://www.facebook.com/damascusPTA/ and “LIKE” us! Our Facebook page will keep you up to date with DES-PTA events, meetings and fundraisers. And if you are interested in the different areas the DES-PTA is involved in take a look at the ‘Services’ section on the left hand menu of our Facebook home page! The DES Spirit Wear Store on Zazzle allows you to choose your favorite DES design and then pick the T-Shirt, sweatshirt, or tank-top style you want. Each style comes in a variety of colors for you to choose from too! Just click on the design you like and you’ll see all of the options on the right hand side. 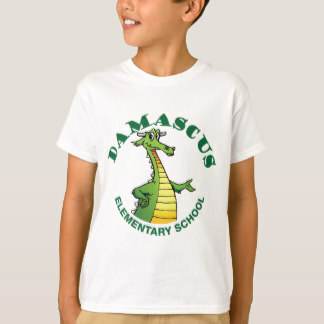 Purchasing DES Spirit Wear through Zazzle helps the DES-PTA support the DES school community with field trips, educational programs, books, supplies, staff appreciation and more. See the PTA website or Facebook page for more information about the DES-PTA programs. We are looking for a creative soul to help us design new items for the DES-PTA Zazzle shop. Please email KKlosterGrady@gmail.com if your interested in helping. Sometimes accidents happen. The health room is currently looking for donations of clean clothing that can be used to change in case of an accident at school. Clothing can be any elementary school size for either boys or girls. Soft sweat pants are especially helpful. Donations can be sent directly to Ms. Floyd in the health room. Thank you for your generosity. Please remember that if you are planning to help at school this year (this includes field trips), you will need to bring a photo ID to come into the building. However, Montgomery County has a volunteer requirement that they feel will help to keep our children safe. The online training on Child Abuse and Neglect is designed to help volunteers be aware of signs of potential abuse and neglect and how to handle situations where you might suspect abuse and neglect. This training is required for adults who would like to volunteer within the school building or attend field trips. The same training is required for any Montgomery County school including Baker MS and Damascus HS. Montgomery County has decided that the training will be good for three years. So if you took it last year, you do not need to retake it this year. It takes roughly 25 minutes to complete. At the end you will be provided with a confirmation number and the system will send you an email showing that you have completed the training. You will need to show this email to the office when you come to volunteer. If you have any questions or concerns, including the need for computer access, please contact Christine at derbyjc@bellatlantic.net.